Northeast Whitewater: Moosehead Lake Adventure Destination: We've got snow in Greenville, Maine! We've got snow in Greenville, Maine! Lots of things going on at Northeast Guide Service that we are excited to share! In the last two weeks, we have become the new owners of Indian Hill Motel. We are the gateway for you to the Moosehead Lake Region. The motel is located on Route 15 as you enter Greenville, directly across the road from Northeast Guide Service. You'll know you're at our door in Greenville when you see your first view of majestic Moosehead Lake right in front of you! You will enjoy a stunning view of Moosehead Lake from each of our 15 clean, comfortable motel rooms. 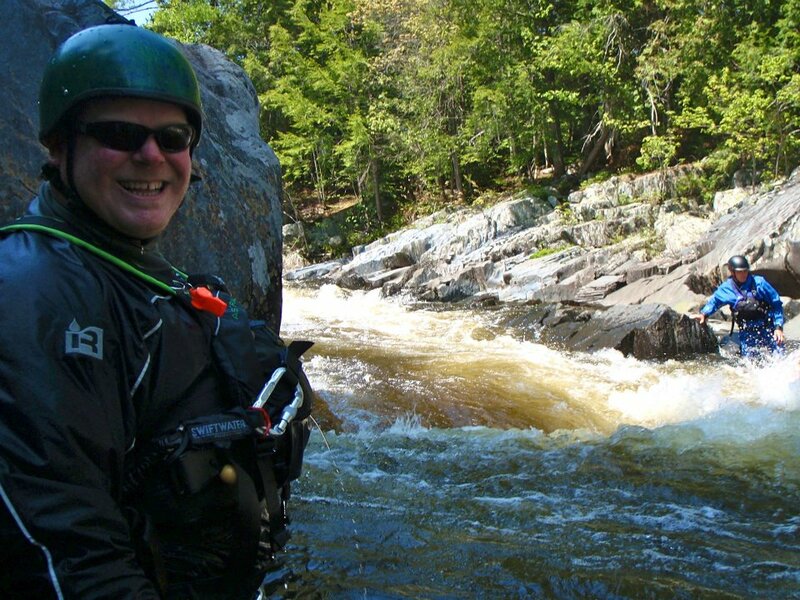 Some of our staff will return for another season of providing friendly customer service in our office, in addition to whitewater rafting, moose watching, and guided trips, but there will be new faces and folks you will get a chance to meet that have recently joined the Northeast family. Mary and Jillian are our tag team of housekeeping smiling faces. They do a great job tending the rooms to make the clean and comfortable for you! Kristie is a new addition to Northeast Guide Service working side by side with Jessica to answer phones, greet our guests, attend trade shows and stay active on the internet! Tomorrow, Kristie and Jessica will be attending our first career fair of the 2012 season. The career fair is being held at Unity College in Maine. We are eager to talk to the students about all of the outdoor education opportunities, employment opportunities in guiding, as well as the great area that we live, work and call home. Next weekend, which is President's weekend, we will be very busy at the motel with snowmobiling enthusiasts, cross country skiers, and anyone just needing to get away from the hubbub of the world to relax and enjoy the Moosehead Lake Region. Kristie and Jessica will be getting the word out about Northeast Guide Service activities at the Springfield, RV, Camping and Outdoor Show. We have some amazing giveaway prizes for folks to win! 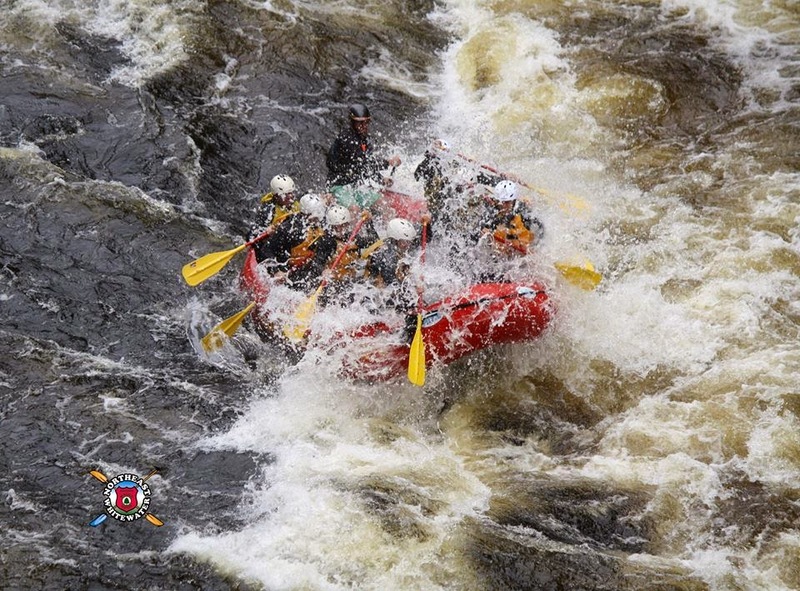 One of the best deals that we are offering at our trade show is half price whitewater rafting and moose watching tours. 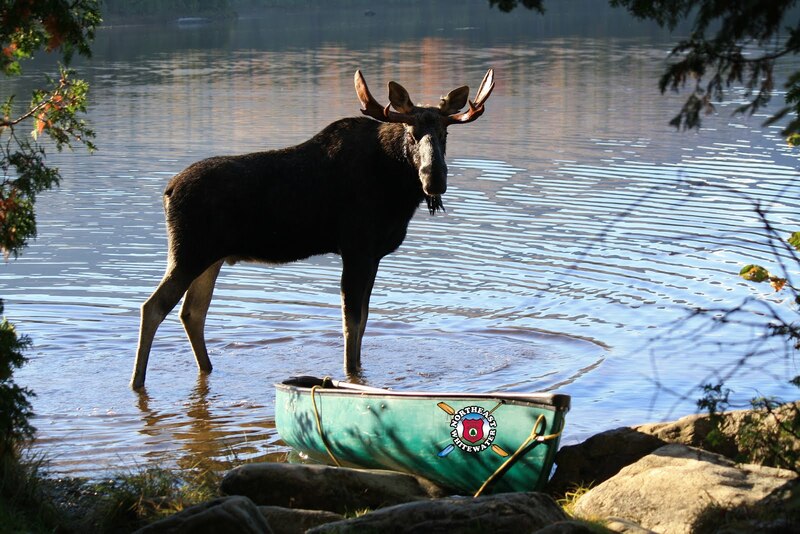 This truly is a giveaway for all that you get when you enjoy rafting and moose watching with us. We invite you to come and see us next weekend in Springfield, MA!! Many more exciting things to come over the next few months. We are getting so excited for the Spring moose watching tours, but in the mean time, we have beautiful weather this winter in Northern Maine, with snow on the ground (yes, SNOW!!!) and folks are truly getting a great opportunity to ride, stay and enjoy this amazing area.